OBAMA IS IN THE HOUSE- in Worcester, MA! 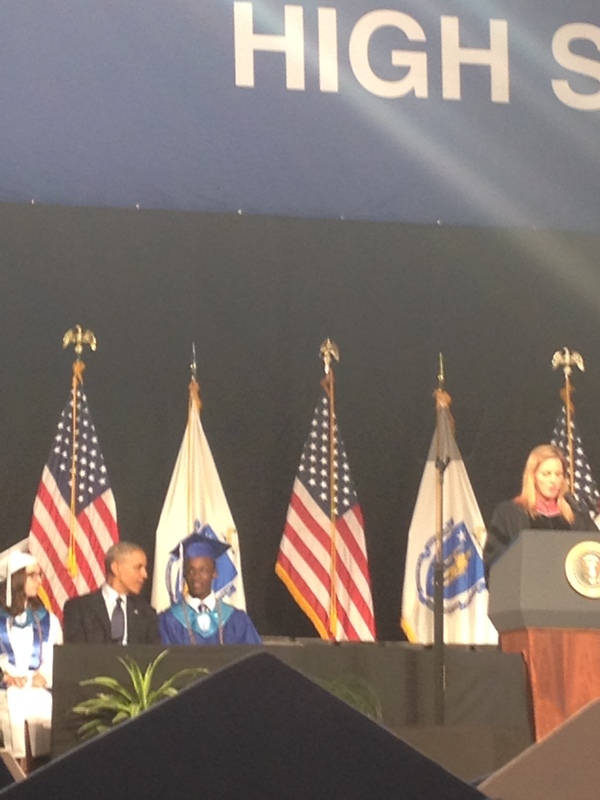 My son and I were happy to get to watch our Presdent Barack Obama speak at Worcester Technical High School’s graduation June 11th. Even in a crowd of 5000, we felt he was speaking just to us. Obama bonds with the student who introduced him. Cheers to Worcester Technical High! In the ‘disgrace’ that is our underfunded public education system, this school stands out as a success. 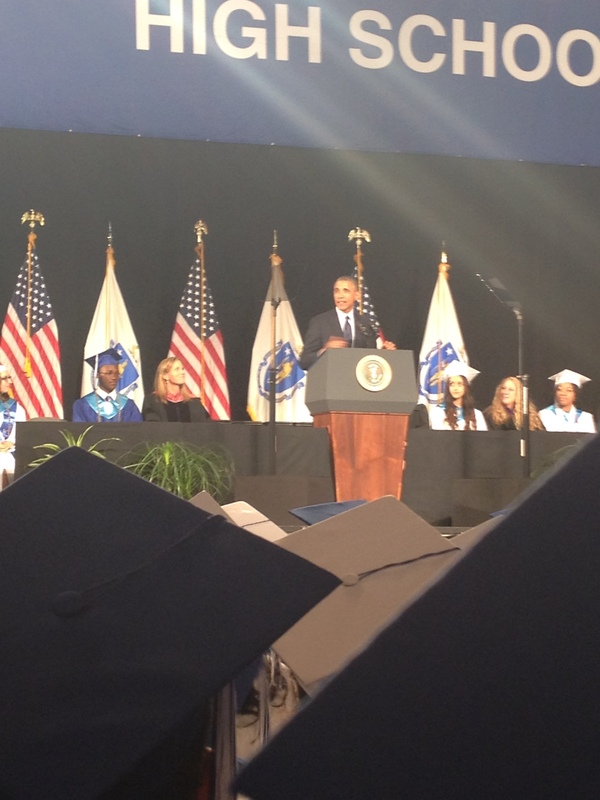 Obama captured that can-do spirit at the lively graduation. As a voice shouted from the crowd: “OBAMA IS IN THE HOUSE!” We were thrilled to be in the house with him.